Chinese diver He Zi has a diamond to go with her silver medal. Chinese diver He Zi won silver in the women’s 3m springboard but she was the happiest one on the medal stand. At the end of the medal ceremony, fellow diver Qin Kai got down on one knee to propose. 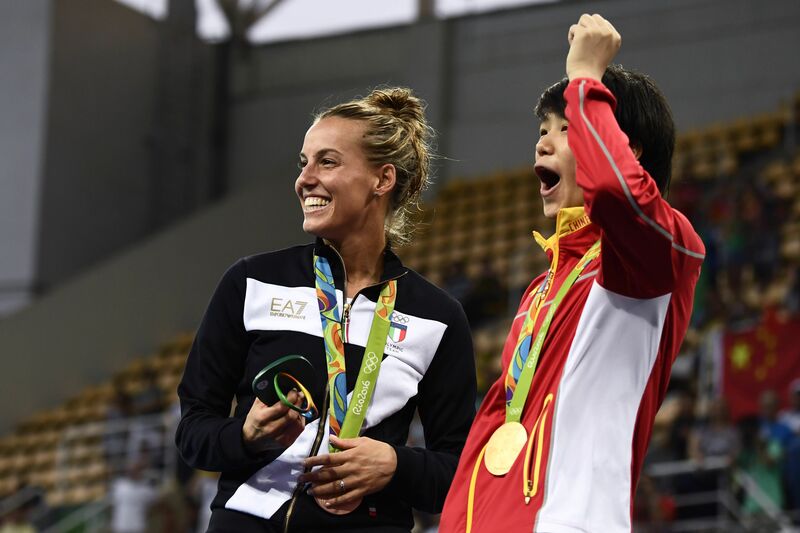 Zi’s fellow medalists, including teammate Shi Tingmao, were thrilled to see the proposal. Zi now has three Olympic medals after taking a gold and a silver in 2012. Kai has five medals, including a bronze in the 3m synchronized event this year.